The government has announced that it has taken measures to resuscitate the beleaguered national Airline Air Zimbabwe by buying more airplanes to add to the fleet that is currently. In a post-cabinet briefing read by Minister of Information Minister Monica Mutsvangwa on Tuesday the Ministry of Transport and infrastructure Development has been given a go ahead by cabinet to rebuild the National Airline by acquiring four Boeing 777 from Malaysia and seek delivery of an Embraer aircraft which was purchased from the United States of America. In 2018 it there reports that a company linked to Former President Robert's son-in-law Simba Chikore called Zimbabwe Airways had acquired the four Boeing 777s from Malaysia. However Transport Minister Joe Biggie Matiza said Zimbabwe Airways was owned by government and it will be merged with Air Zimbabwe. "I would like to inform the nation that Zimbabwe Airways is a government entity. It is important to know that Air Zimbabwe does not have the adequate aircraft mix, an issue which has forced the airline to operate at a deficit. 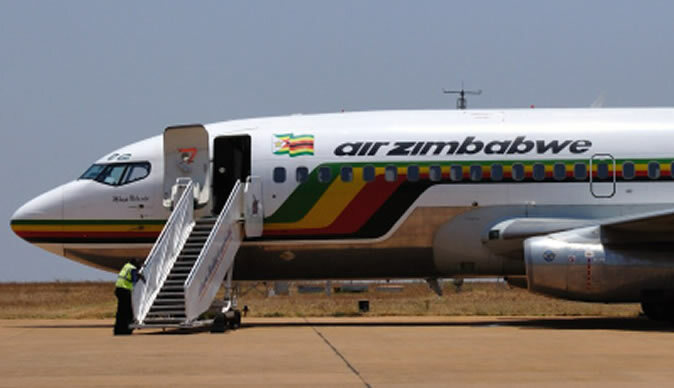 With the new aircraft in place government intends to merge Air Zimbabwe and Zimbabwe Airways to complement one another on local and international routes," Matiza was quoted as saying. Air Zimbabwe, which has in the last few years been constantly underperforming, was placed under reconstruction on October 4 last year in terms of the Reconstruction of State-Indebted Insolvent Companies Act (Chapter 24:27). The move was designed to allow Air Zimbabwe an opportunity to clear its debt which was estimated to be around of $334 million. One of Air Zimbabwe's long haul aircraft, a Boeing 767-200 was impounded by American General Supplies at Gatwick International Airport in London in December 2011 over debts amounting to $1,2 million.